Lead your tribe to prosperity by cultivating and selling cacao beans—the "Fruit of the Gods." 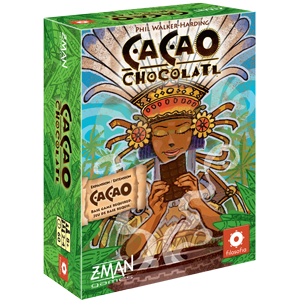 As the chief of your tribe, you must lead your people to prosperity through the cultivation and trade of luscious cacao. Place your workers and wisely use the mighty power of the gods and you will be richly rewarded. 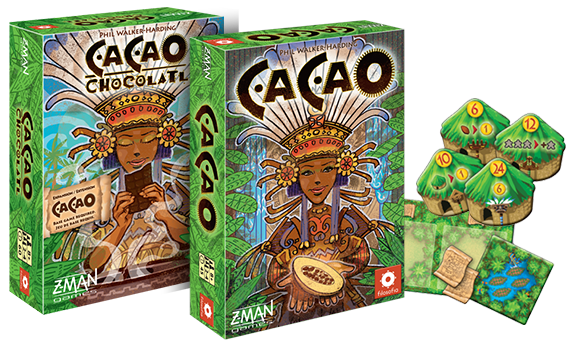 Cacao is a tile-placement game in which players compete to harvest and trade the most cacao. Through clever placement of tiles, they assign workers to cacao plantations while exploring the jungle in search of mines, ancient temples, and water for their tribe. 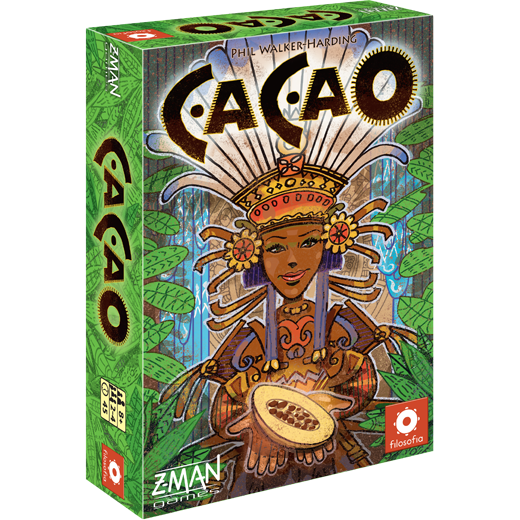 Simple rules and a short play time make Cacao an enjoyable game for the entire family.